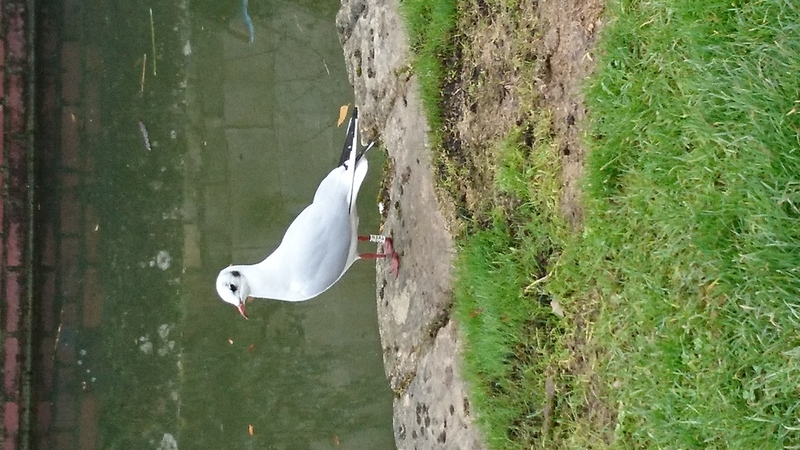 I’m currently being given the run around by a black-headed gull! I was on the phone with a very important client the other day and spotted the gull outside my office. It was sporting a colour ring which means it will have been ringed as part of a research project and re-sighting of these birds to report the unique number is crucial to the success of such studies. I, therefore, found myself trying to maintain some semblance of intelligent telephone conversation whilst also holding my binoculars and straining to see around the corner of the window and read the number on the ring. I failed on both counts. Then today I walked past the bird on the towpath of the canal but still couldn’t read the ring, even from 10 feet away (although I did get this photo). In desperation, I have now bought some bread and aim to entice it down when I am poised with the binoculars. If that doesn’t work then I don’t know what will! In less important news, it’s been a truly insane year for Biocensus and the normal autumn downturn in work just hasn’t materialised. Taking this together with the work we are being asked to quote for, it looks like next year could be a record breaker for the sector. As a result, we’re on a big recruitment drive. We’re currently looking for two senior ecologists, 3-4 ECoWs for site work next season, a supplier manager and a business development assistant. 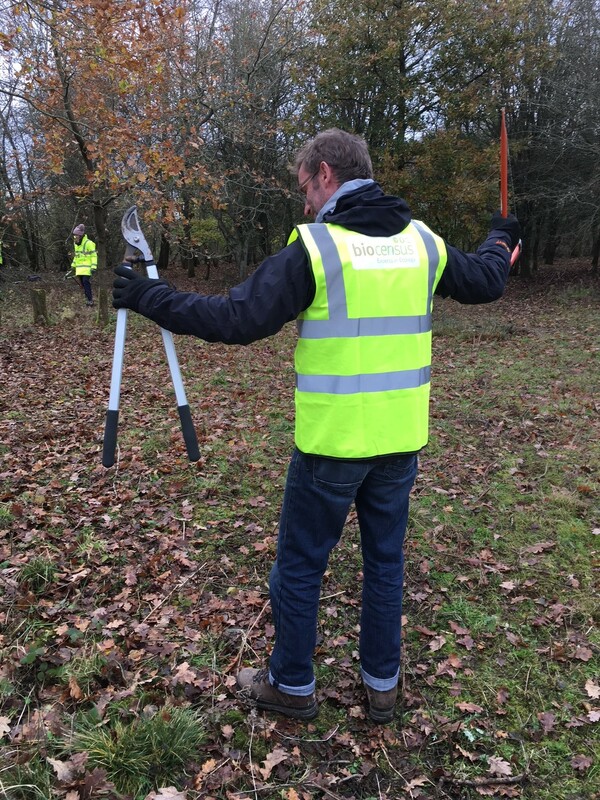 Our database of free-lance ecologists is now just shy of 600 and we’re hoping to grow this rapidly next year with the help of a dedicated supplier manager to coordinate the registration and quality assurance of the whole database. If you are interested then get in touch or pass the news on to anyone who might be. The Brexit vote back in June has created a great deal of uncertainty in our sector as a large part of the work that we do is connected to UK laws that were put in place as a result of European Directives. Over the summer Biocensus was approached by CIEEM to get involved in lobbying members of parliament and senior civil servants to ensure the best possible deal for wildlife. Whatever your views on Brexit itself, the withdrawal does present an opportunity to redraft the wildlife law of the UK and potentially to fundamentally change farming. The effects of the Common Agricultural Policy (CAP) on our wildlife have been pretty horrific over the years and so I’m quite keen that we see this as a huge opportunity for UK wildlife. Biocensus are therefore investing both time and money in this lobbying project and so far the meetings we’ve had with politicians have all been very positive. We have yet to speak to the recognised eco-warrior that is Mr Gove, but who knows we may well just do that! Hope you all have a great Christmas and New Year. Posted in Blog by Lisa Thrower on December 11th, 2017.